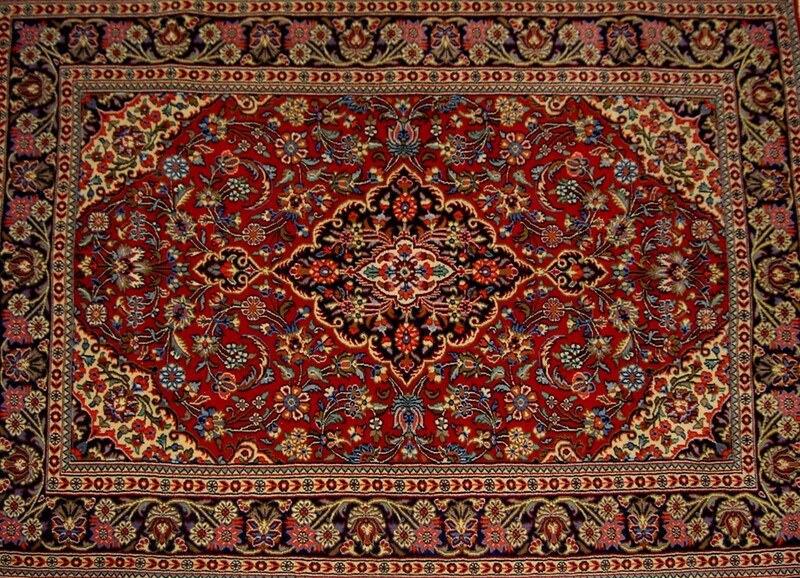 Apart from their unique beauty, Oriental rugs often contain a wealth of history woven together with vibrant and complex threadwork. Knowing this, it’s essential to have a qualified appraiser make a knowledgeable determination of your rug’s country of origin, history and value. Ahdoot Oriental Rugs’ staff is trained to recognize the quality of expertise demonstrated in a wide range of rug types, in addition to quantifying its age, to assist in the appraisal process. Having a reputable resource for an appraisal is vital to establishing the current value of your rug. We have been serving collectors and appreciators of the Oriental rug market for over 35 years, developing an expertise in rug appraisal practically unparalleled in the industry. Our focus is on ownership, understanding that many who are seeking appraisals are doing so in order to insure their piece against possible damage. Even if you’ve had an assessment done in the past, it is imperative to have an updated record of its current value to ensure your carpet is well-protected. We offer rug appraisal services in our Midtown, Manhattan store, or at your home, making it effortless to have your Oriental rug researched by our well-trained appraisers. We have developed methods to ensure a high standard of evaluation during the appraisal process. These set of principles are built on our lengthy membership in the International Society of Appraisers. Your rug’s worth is based on its replacement value, which is often greater than its current value in the marketplace. Ahdoot also takes great pride educating our clients on where the rug originated, its structure, and age to help owners of Oriental rugs understand its significance beyond the value placed upon it. Many of those whose rugs we appraise are delighted to share this knowledge with friends and family who also appreciate its display of fine craftsmanship. Appraisals are prepared around the current condition of the rug. Having the rug regularly cleaned, or in the event of damage, repaired by experienced weavers, can add to its value. We recommend those seeking rug appraisals have their carpets evaluated by one of our staff prior to receiving certification. That way we can determine if we can add even more worth, while beautifully restoring your piece all at once.